Whether you call Cape Town home or you’re visiting for a while, Kaapse Stories from the Mother City is a show you’ll definitely enjoy. 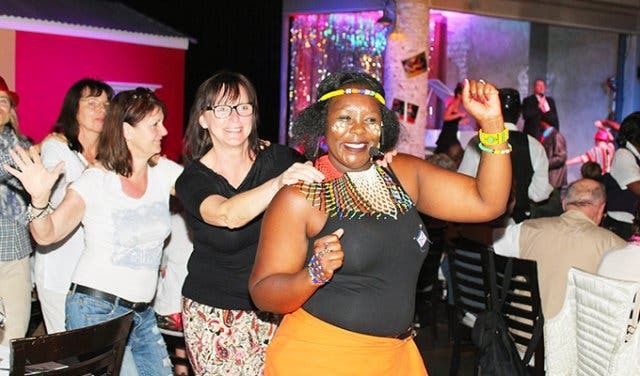 The musical performs a playlist of well-loved South African and international songs to give insight into Cape Town’s (Kaapse) history and celebrates the resilient, colourful people who live at the foot of Table Mountain. Celebrating five years of over 1200 shows of "Kaapse Stories from the Mother City" performed to more than 100 000 guests, this spectacular show is also the winner of the 2014, 2015 and 2016 Lilizela Tourism Award for the best “Roots and Culture Experience” in the Western Cape. 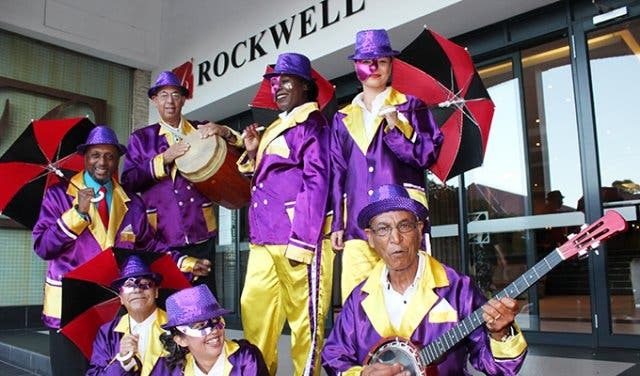 The location of the dinner theatre is The Rockwell Hotel in Green Point, a neighbourhood that boasts a vibrant atmosphere, thus a logical choice for such a vibey production. The Kaapse Stories concept looks to bring the children of the Mother City and her guests together. All attendees are welcome to sample the restaurant’s culinary delights and enjoy great local talent too. Upon entering the venue you are greeted by smartly dressed, smiling staff. You’ll be made to feel like the guest of honour as you are escorted into the elegantly adorned dining area. A mouthwatering aroma, like a promise of the delicious meal to come, will hit your nose and tease you until it is satisfied. The walls bear iconic images of the Bo Kaap while the melodic sounds of the grand piano accompany the flute of bubbly on offer. Once everyone is settled, the first two of four courses is served. A generous Greek salad is followed by a smartly composed starter that manages to capture two characteristic Cape flavours. Malay samoosa and snoek paté (glorious snoek!) is served with a side of roasted vegetables. Tucking into our warm meal, we receive an enthusiastic welcome from the maestro of the evening. He takes to the stage and insists that we greet our table neighbours. Thanks to his laid-back charm and hospitality, he has the audience eating out of his hand. Now the stage is truly set for the show to begin. Kaapse Stories from the Mother City subtly blurs the line between spontaneity and vocal precision. You begin to wonder who is in the show and who is employed as the waitron, as staff members unexpectedly burst into song and reveal themselves to be integral to the performance cast. The show is infused with joyfulness and a hefty dose of comedy. Many moments of the performance are interactive, and the unabashed audience participation is a testimony to how comfortable the cast makes patrons feel. The main protagonist, Grandpa Joe, known to everyone as ‘Pa Joe’, takes us on a journey of extraordinary events along with his family. His brother Bernie, uncle Charlie and his precocious granddaughter Genevieve, along with many other interesting characters display exceptional talents and give us insight into the life and times of Pa Joe. The roars of laughter heard from the crowd can only be attributed to the delightful relatability of the characters’ stories. Award-winning director Basil Appollis has crafted a unique production that allows both international and local guests to discover the colourful history of the Cape and its vibrant people. Suffice it to say, the performance holds plenty of surprises, and I couldn't help but run the gamut of emotions. I was delighted, I belly laughed, I shed a tear, I danced in my seat, but above all I was spellbound by the magical voices and soaring talent that have been uncovered and brought to the show. The experience beautifully balances the disciplines of running a restaurant and producing a show. Nothing is overstated. 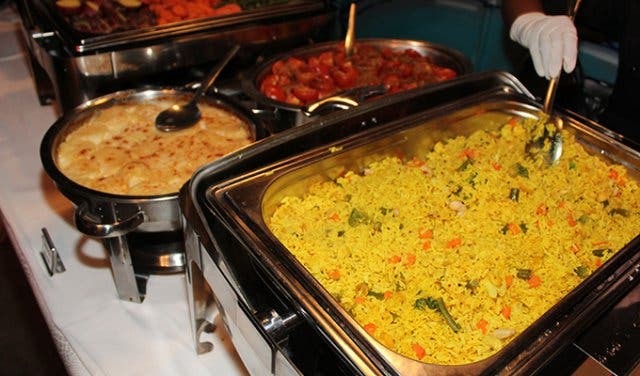 The presentation of the food is incorporated into the performance and, like the multifaceted talent on display in the musical revue, the theatrical buffet is equally well-rounded. It boasts an ample mélange of flavours that represent many of the Mother City’s culinary influences, from biryani to boerekos. 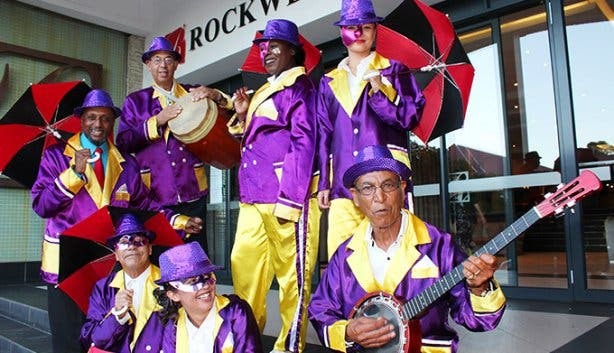 While foreign tour groups are making Kaapse Stories a compulsory stop on their itinerary, locals too are flocking to this thrilling live performance venue to celebrate birthdays and anniversaries and immerse themselves in a uniquely Cape Town experience. Dinner and a show can be a captivating combination in the right hands (and voices). 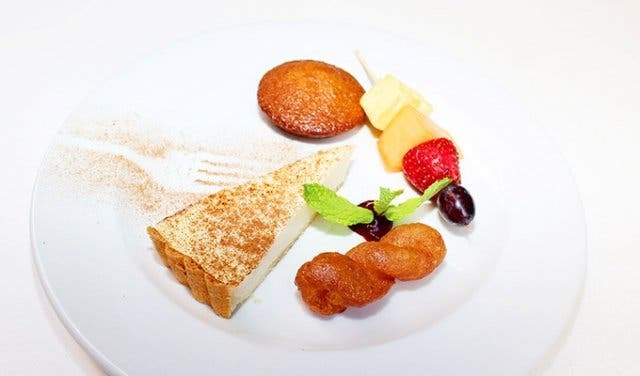 While devouring the delectable desserts – classics such as melktert, koeksister and malva pudding – we were even granted the delightful opportunity of meeting the performers and enjoying their obvious afterglow of having hit just the right, sweet note. Guests are asked to arrive at 7pm for 7:30pm. Tickets cost R480/p and include a four-course meal, welcome drink and the performance. Booking can be made through Computicket.com or by calling the venue on +27 (0)76 144 4809. For more information visit our Kaapse Stories from the Mother City event. 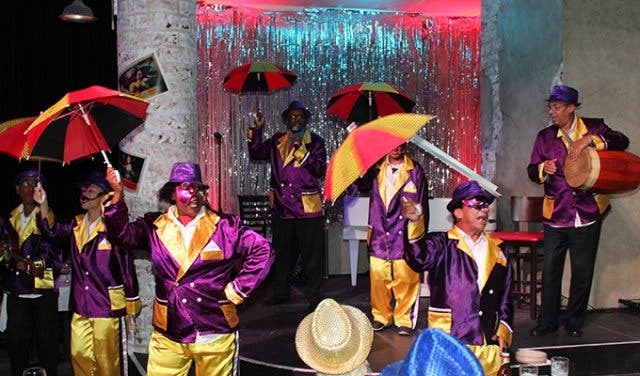 Dinner Theatre has become something of a favourite pastimes for a number of Capetonians. Check out where you can catch dinner and a show in the city. Is a loved one's birthday coming up? Book out a table and make memories with this special birthday party idea. Challenge yourself to an all-you-can-eat experience at all the glorious buffet restaurants in the city.